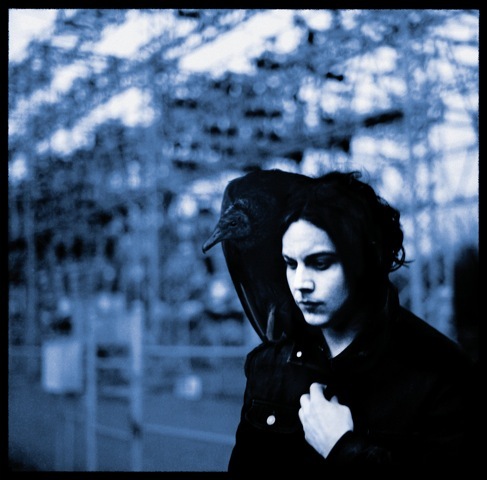 Having recently divorced his wife of six years, it’s tempting to interpretJack White’s debut solo album as his very own version of Dylan’s breakup classic, Blood on the Tracks. After all, with its bruised, scabrous lyrics – full of nosebleeds, burst lips, missing limbs and pummelled digits – and preoccupation with love gone not so much bad as cataclysmic, it sounds as though the erstwhile White Stripe has been eviscerated by his loss. But it’s important to remember that, not only was the split apparently amicable (his ex sings back-up on three songs here), but that White has never been a confessional songwriter in the conventional sense. Despite his deep devotion to the blues – that most ‘authentic’ of musical genres – he’s a conceptual art-rocker at heart, inhabiting his own unique crossroads between theatrical artifice and bloody-minded sincerity. There’s a sense throughout Blunderbuss – trust him to choose such an archaic weapon – that White is positively revelling in the role of the wronged lover. So you never get the sense that he’s being entirely serious; he’s too eccentric and machismo-camp to suggest otherwise. It’s what defines him as an artist and it’s why he may be the only great rock superstar of recent years. While this isn’t a major musical reinvention, it certainly develops his trademark synthesis of stripped-back garage-rock and Americana. Despite his guitar God reputation, White – ever the contrarian – relegates his axe to a supporting role, favouring instead a sort of aquatic country-blues dominated by Rhodes electric piano and the punk-Liberace glissandos of pianist Brooke Waggoner. She’s part of a small group of musicians who never detract from White’s minimalist aesthetic – Meg may be gone, but the primal rhythms remain – and who hit upon a particularly delightful sound on the breezily Kinks-esque Hip (Eponymous) Poor Boy and the compact mini-opera Take Me With You When You Go. During those moments when White’s guitar does come to the fore, it fits and squalls as though it’s having a breakdown, although he still swaggers with the best of them on the likes of Sixteen Saltines and on a raucous cover of Little Willie John’s jittery hoodoo, I’m Shakin’. After all these years, there’s still nobody quite like him.